The President, Georges Dussart, delivered the Annual Report of Council at the Annual General Meeting of The Society held in the Linnean Society, Burlington House, London on April 2nd 2009. There were 180 members at the end of 2008, which included 16 new members (10 students and 6 ordinary members). Twenty six people did not renew from 2007 and two members died. At the end of March 2009 there were 137 active members. This included five new members (two students and three ordinary).Forty eight members had not renewed for 2009, although some of these may renew later in the year. Because there were two important international meetings during the year (the European Association of Malacological Societies in the Azores and the Littorinid Symposium in Vigo), only two other meetings were organised by The Society. The first was a highly successful AGM meeting at the NHM on the subject of Speciation in Molluscs, organised by Suzanne Williams. The second was a fascinating Young Malacologists’ Forum, organised on the day by Dinarzarde Raheem and the President. However, the major part of the paperwork was organised by Manuel Malaquias from Norway. During the Forum, fifteen papers and eight posters were presented by young malacologists from a range of countries, including the Republic of Ireland, Iceland, Germany, the Czech Republic, Hungary, Northern Ireland, Portugal, Thailand and Malaysia. Issues 51 (August, 32 pages) and 52 (February, 28 pages) of The Malacologist covered the Speciation in Molluscs meeting together with the Spring AGM, and November’s Molluscan Forum, which were held at the Natural History Museum. These issues also contained research grant reports, lists of award winners, obituaries, news from other publications and occasional reports. Because of the change in name, from ‘The Bulletin’ to ‘The Malacologist’, a new ISSN number, 1759-1406, replaced the former number, 1365-3725. The Malacologist is produced in Microsoft Publisher and printed in the Faculty of Life Sciences of the University of Manchester. Changes in printer technology have resulted in a much smoother production of the last two issues without the fickle colour shifts which used to occur. This has led to less wastage and allowed for a stable pricing structure. The cost of each of the last two issues was just over £6 per member, of which roughly a quarter was postage. Rüdiger Bieler kindly provided the fine cover image for volume 74 of the Journal. This was poorly reproduced in part 1 owing to inadequate quality control by the printers but this was rectified in subsequent parts. For the current volume (75) the spectacular cover image, supplied by Mary Jane Adams, is in colour for the first time. This incurred an additional cost of only £240. Members were invited to contribute suitable images for future volumes with the usual theme of ‘pattern in Mollusca’. It proved difficult to sustain the Journal’s series of review articles. The Editor had hoped to begin each issue of the Journal with a review of around 10 pages on a topic of general or specific interest. Two such reviews appeared in volume 73 and several more are under consideration. Members were encouraged to submit suitable reviews or to suggest potential authors. Members were reminded that they can access the entire electronic archive of Journal of Molluscan Studies (and its precursor Proceedings of the Malacological Society of London). Full instructions, which describe how to access this archive, were published in The Malacologist in August 2007. Sales by Oxford University Press of institutional subscriptions to this archive have resulted in additional income for The Society over the past year (see Treasurer’s Report). The ISI impact factor for the Journal in 2007 was 1.032 (compared with 0.968 in 2006, 0.758 in 2005 and 0.411 in 2004), which is very good news. The Journal now stands at number 56 in the list of 124 zoological journals. Circulation for the Journal in 2008 was 163 institutional (of which 38 were online-only and 76 print-only) and 170 membership subscriptions (compared to 177 and 171 respectively for 2007). In addition, a further 2352 institutions can electronically access the Journal through publishers’ consortia (compared to 1707 in 2007), and 701 (compared to 770 in 2007) have access through OUP’s Developing Countries Offer (for details see http://www.oxfordjournals.org/access_purchase/developing_countries.html ). This means that the Journal is now available to 3386 personal and institutional subscribers (compared to 2825 in 2007 and 2438 in 2006). This is an increase of almost 20% on the previous year. The new pricing structure has been fixed for 2009. The cost for a combined print plus online institutional subscription is £326 ($652); print-only and online-only subscriptions are each £310. Volume 74 contained 45 papers and research notes, totalling 418 pages. The delay between acceptance of a manuscript and electronic publication was about 5 months. Submission of manuscripts rose by 16% to 184, and the acceptance rate was 24%. The Journal’s board of Associate Editors now comprises: Thierry Backeljau (molecular phylogenetics and genetics), Liz Boulding (population and reproductive biology), Robert Cameron (ecology and genetics of terrestrial Mollusca), Simon Cragg (life histories, sense organs), John Davenport (marine ecology and physiology), Mark Davies (marine ecology and behaviour), Villie Flari (physiology and behaviour), Dan Graf (freshwater bivalves), Liz Harper (marine bivalves), Robert Hershler (freshwater gastropods), Kurt Jordaens (systematics, ecology and pest control of terrestrial Mollusca), Manuel Malaquias (opisthobranchs), Ellinor Michel (ecology, freshwater gastropods), Peter Mordan (terrestrial Mollusca), Diarmaid Ó Foighil (genetics, freshwater bivalves), John Taylor (Neogastropoda, mineralogy, ultrastructure), Mikael Thollesson (opisthobranchs), Janet Voight (cephalopods), Janice Voltzow (microscopic anatomy), Tony Walker (biochemistry) and Suzanne Williams (molecular phylogenetics and genetics). The Editor expressed his thanks for the hard work and support of all these colleagues. Overall, The Society was very pleased with the number of applications that it received for Travel Awards and Research Grants. The schemes seemed to have achieved their global aims of enabling young scientists to engage in Malacological research both in the laboratory and at meetings. Reports from researchers funded through both schemes appear in The Malcologist. Research Grants - at least five, each of up to £1000 Note that after the AGM. Ththe value has been increased to a maximum of £1500. Application forms and guidance notes for both schemes can be downloaded from The Society’s website. Since the AGM in 2008, The Society has received nine applications from researchers for Awards to Travel to meetings or to undertake research in laboratories away from the applicants’ home country. Claire Standley (£500), Natural History Museum London (UK) attendance at the CONTRST meeting (University of Zambia). Helen a Safavi-Hemami (£500) University of Melbourne, collaborative work (functional analysis of novel cone snail proteins) with Dr Greg Bulaj at the University of Utah. In total, The Society gave £4,000 for Travel Awards. All applicants have been notified of the outcome. By the closing date of 15 th December, The Society had received sixteen applications from workers in nine different countries. As in previous years, the scientific quality of the research projects submitted was excellent. Development of a real-time PCR assay for detection of male and female types of mtDNA in the blue mussel Mytilus edulis. Corbicula fluminea as ecosystem engineer –functional importance. Niche creation for cryptofauna by teredinid bivalves in mangrove ecosystems. Assessing the effects of dams on population genetic structure of Leptodea fragilis and its larval host. Where are the Prochaetodermatidae in the caudofoveate tree of life? The Society awarded seven Research Grants at a total cost of £6,974. The success rate was 44 %. The Awards Panel emphasised that the quality of all applications was high and that it had funded as many excellent projects as possible. There were two submissions for the Annual Award. Regina Oliviera Lopes da Cunha of the Autonomous University of Madrid and the Museum of Natural Sciences received the Award for her thesis entitled Tempo and mode of evolution of the genus Conus (Gastropoda: Neogastropoda) in the Cape Verde islands (2008). In 2008-9, three Education awards of £200 each were given. No applications were received for the Education Award this year. The main problem seems to have been the difficulty of bringing the Award to the attention of possible applicants. For example, as well as advertising in The Malacologist, on The Society website and on the Mollusca Listserver, the awards were broadcast on Scottish and Irish radio, and notices were published in the Times Educational Supplement and the Guardian Education. However, most of these were one-off adverts which appeared to have little impact. The issue was discussed by Council and it was decided to maintain the effort to encourage applications for the Education Award. The Society’s website continued to house the electronic version of The Malacologist and information pages. There are two issues of The Malacologist each year and occasional announcements and updates. In 2008 there were 143,236 unique visits to the website (i.e. visitors who visited more than one page). This is up from 113,937 in 2007 and continued a trend of increased usage since the website was established. Although there were slight peaks of usage in the early summer months at over 12,000 visits per month, the number of visitors never fell below 8,000 per month. Well over half the visitors are coming from internet providers with the .com domain name indicating that they are private users. Thus Yahoo.com, aol.com and ntl.com are popular internet providers among our visitors. Whilst the website, therefore, is serving the education and research communities with .ac.uk and .edu domain names prominent, these locations do not constitute a large proportion of visitors. It is not possible to locate the origin of .com and .net visitors but of the remainder over 30 countries registered more than 100 visitors in the year. The Society’s web site is mainly located from Google URLs, which indicates that it is regularly highlighted by search engines. 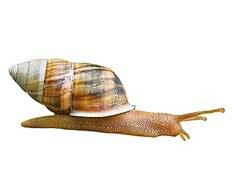 The Home page is most often accessed but “Snail borne diseases” came second with nearly 4000 hits. 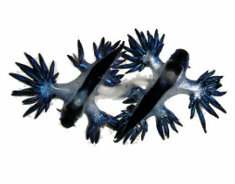 Two of The Society’s mini reviews, “Aquaculture” and “Reproductive Hormones”, received around 2000 and 1500 hits respectively. Spin off activity from the website increased during the year with a number of organisations contacting The Society through the website. The majority of contacts were requests to link to commercial websites and these requests have been denied. Active links to other Malacological websites have been maintained. Malacological requests were passed on to relevant members of The Society when specialist expertise was required or dealt with by reference to information already available. This was Georges Dussart’s final year as President and, on behalf of The Society he took the opportunity to thank the officers of the Council who, by their unflagging enthusiasm for the objectives of The Society ensured its continuing viability during the last three years. The President thanked the two Editors, Bill Bailey and David Reid for their work with their respective publications, each of which maintains a continuing high standard of scientific rigour and attractive elegance. Elizabeth Platts was thanked for her long service as Treasurer and in particular for maintaining her oversight of the malacological purse in such a way that The Society never seemed to be short of money. Tony Walker was thanked for his sterling work in dealing with awards expeditiously and Richard Cook for dealing efficiently and economically with the issues of membership. For many years, Tony Cook has maintained the website remotely from his location in Ulster and the President thanked him for the quality of his work. Jackie Trigwell was thanked for her clear, concise reports. Manuel Malaquias was thanked for the high quality of the Forum documentation. The other Council members were also thanked for their various contributions to the continuing success of The Society. Indrella amputta. © The Natural History Museum, London. Beddomea trifasciatus (lowland form). © The Natural History Museum, London.